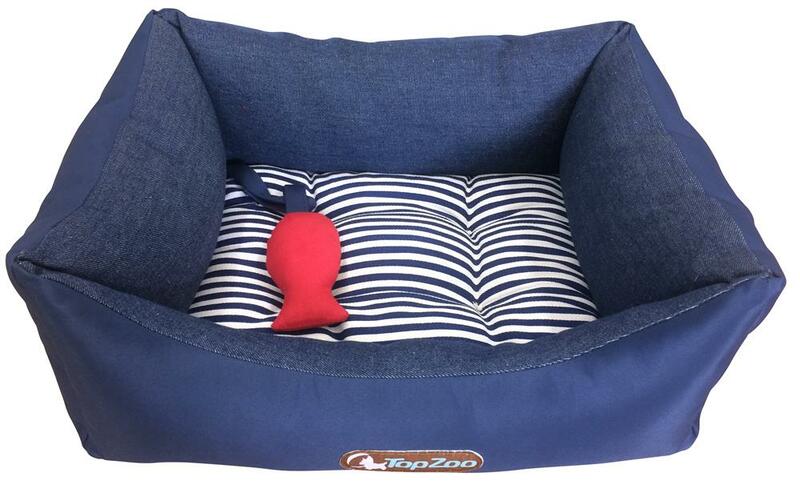 Very comfortable cozy basket for your dog or cat. The high sides of this basket provide maximum protection for your pet. Its cotton polyester marine fabric is very trendy. The inner cushion is soft and perfect for your companion's rest. A noisemaker is hanging on the bed. Very easy to clean, the pad is machine washed at 30 ° C.